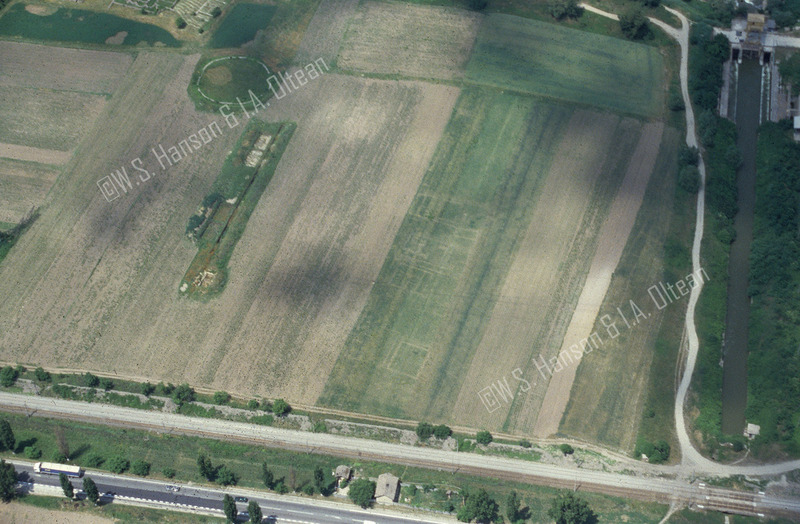 Main concentration of vicus buildings to E and NE of fort, showing as germination marks in strip fields with open excavation trench. 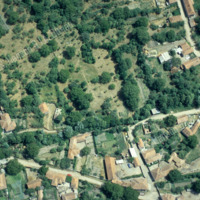 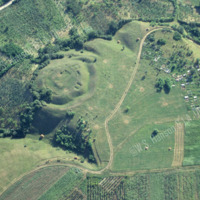 View from S. The associated civilian settlement (vicus) at Micia is extensive and surrounds the fort, though the main focus is on the NE side. 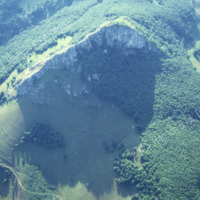 William Hanson & Ioana Oltean, “Micia 2,” accessed April 18, 2019, http://hansonaerialphotography.locloud.pl/items/show/410.